Sitting in comfortable chair with a good light, a hot cup of coffee, and an open Bible is not the setting for testing our mettle. It’s easy then to have grand thoughts and ample feelings of courage. It’s easy to think of how strong our resolve is and find our commitment unimpeachable. Getting out in the real world and finding yourself out of step with the general order of things is a bit different. Facing opposition and hostility around you is very different from sitting in your favorite chair. 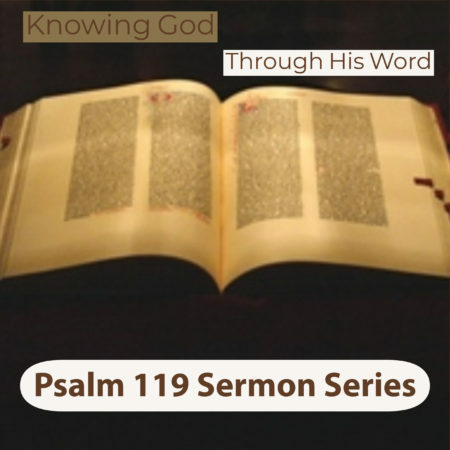 In this sermon, we look at the third stanza of Psalm 119 and think about what happens when devotion to God’s word doesn’t make life easy for us.